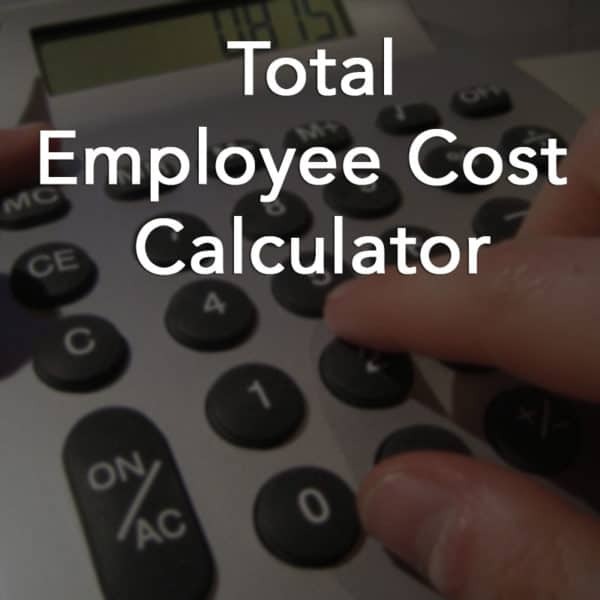 DO YOU AND YOUR EMPLOYEES KNOW THE TOTAL COST OF THEIR EMPLOYMENT? An excellent worksheet for the calculation and presentation of the total cost of employees. We have found this to be an excellent tool in not only communicating with your employees on what the real cost to the business is from having them, but also the total costs of benefits the employee is deriving from working for you. If you are taking on employees your increasing the company’s fixed costs – the monthly nut – that now must be met. It is important for you to see and understand what the ultimate costs of having / adding employees are so that you can manage those costs – and those costs are more than just the wage you pay them, maybe much more. But equally important is for your employees to start to see and understand the bigger picture. There are ‘2’ paychecks the employee gets, naturally the one they see – the wages they earn and take home, but there is also the ‘other’ paycheck; the benefits, the social security, the other costs that burden the employer when they have employees. How can you effectively present the 2 paychecks to all level of your organization? The Employee Total Compensation Worksheet makes it easy. Not only does it organize the various employee costs that an employer pays, but then it easily displays the information by employee – both in a number table format but in a nice simple color Pie Chart.